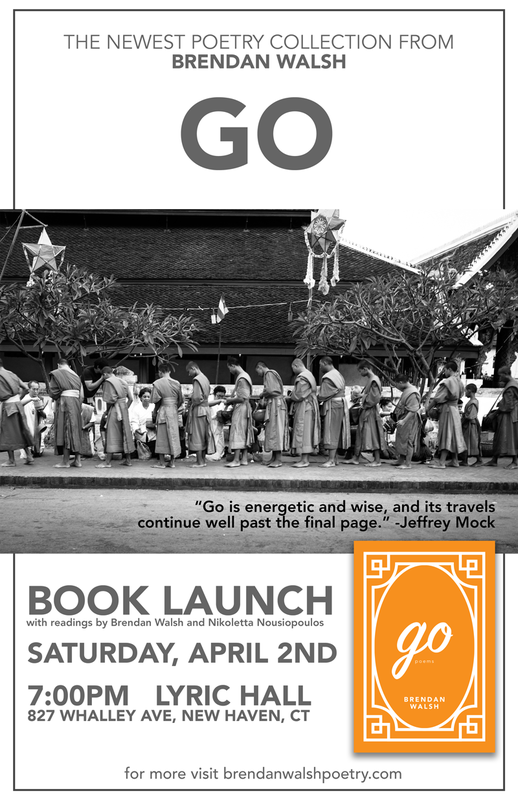 Book launch for Brendan's newest collection, Go, at New Haven's Lyric Hall. Join us! Can't make the launch? Purchase Go at Amazon or Kelsay Books. Reading at Berl's Brooklyn Poetry Shop!